The Sweet Garden House opened in 2005 and renovated in 2010, the hotel features 26 guest rooms and suites, equipped with climate control and luggage lockers. 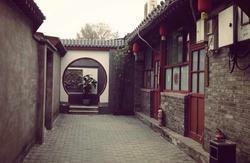 The Sweet Garden House opened in 2005 is an international youth hostel with the best and most charming Chinese Courtyard in Hutong of beijing. It is located in the best part of the reserved Hutong area in the city and within easy access of all transportation.When you open the red color gate of the Sweet Garden House,you can enjoy that feeling of old date-time and quiet room-space inside the courtyad of Hutong .All these make you get an experidence of Beijing Citizens rich and colorful daily life at the Sweet Garden House. There are in total 20 rooms with conditions for guests, including single rooms, double rooms, four and six person dorms. Each room is equipped with a security alarm, fire alarms and electricity plugs. On each floor of the guest house and in the garden there are clean toilets, showers and washing rooms. There is also the reception room (lobby), a kitchen, laundry room, TV area, public telephones (also for international calls) and the peaceful rest area in the garden. Of course you can also surf the Internet in the hostels reception room. Our helpful staff will always be ready to help you have the best possible time in Beijing which is why the hostel has staff on duty 24 hours per day, which also means there is no curfew or lockout. Your room can be opened for you at any time of the day. Of course our staff will also make sure that all guests can sleep peacefully throughout the night. If you don't want to use public transport or on a tight schedule then you can also book one of our tourist tour packages like for example a trip to the Great Wall with a hike from Jinshanling to Simatai, the Great Wall at Simatai or the Forbidden City, Temple of Heaven & Summer Palace and others (see below). 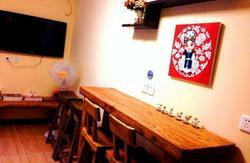 Our hostel staff can also book your next hostel or train/flight tickets for you.The Sweet Garden House opened in 2005 is an international youth hostel with the best and most charming Chinese Courtyard in Hutong of beijing. It is located in the best part of the reserved Hutong area in the city and within easy access of all transportation.When you open the red color gate of the Sweet Garden House,you can enjoy that feeling of old date-time and quiet room-space inside the courtyad of Hutong .All these make you get an experidence of Beijing Citizens rich and colorful daily life at the Sweet Garden House. If you don't want to use public transport or on a tight schedule then you can also book one of our tourist tour packages like for example a trip to the Great Wall with a hike from Jinshanling to Simatai, the Great Wall at Simatai or the Forbidden City, Temple of Heaven & Summer Palace and others (see below). Our hostel staff can also book your next hostel or train/flight tickets for you. The Tianyuan Youth Hotel is located at the intersection of Dongsi Qitiao Lane and Shiqiao Lane, close to Yinzuo Department Store and Yonghe Palace. 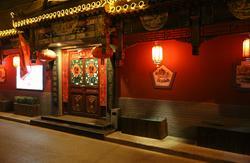 - 24 km to Beijing Capital International Airport.